One of the most played and fun free browser games, DDTank counts millions of players daily and is steadily growing. 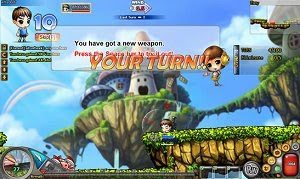 The hilarious characters and simple but addictive gameplay place this game up high in the free-to-play genre. Choose your character, customize your looks and weapons and enter frantic turn-based battles that will leave you with a smile on your face. There are some advanced features included, such as league creating and even getting married online, to earn extra perks.